Glastonbury is set on the low lying Somerset Levels, only 6 miles from Wells Touring Park. There are plenty of buses running from Wells to Glastonbury. They leave every ten minutes and the journey is only about 15 mins long. 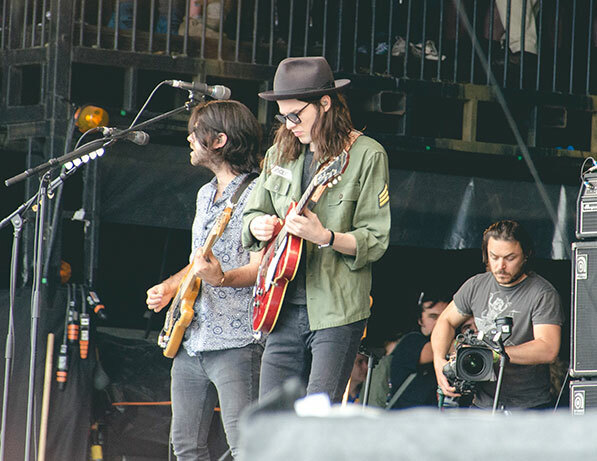 Glastonbury is most well-known for the Glastonbury Festival held each year in June. It is also known as a New Age community and it is notable for its myths and legends often relating to the Glastonbury Tor. There are so many things to see and places to visit that we have a narrowed it down to our top 5. 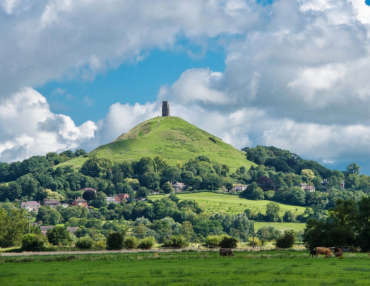 The Tor is a prominent hill that overlooks the Isle of Avalon, Glastonbury and Somerset. Owned by The National Trust you are welcomed to visit the historic site and take a walk up the hill. The views are spectacular! You can also expect to come face to face with some amazing wildlife. If you are a nature lover then you can watch out for plenty of birds, badgers, rabbits and foxes. If you are lucky you can catch a glimpse of Britains rarest butterfilies, the Large Blue. 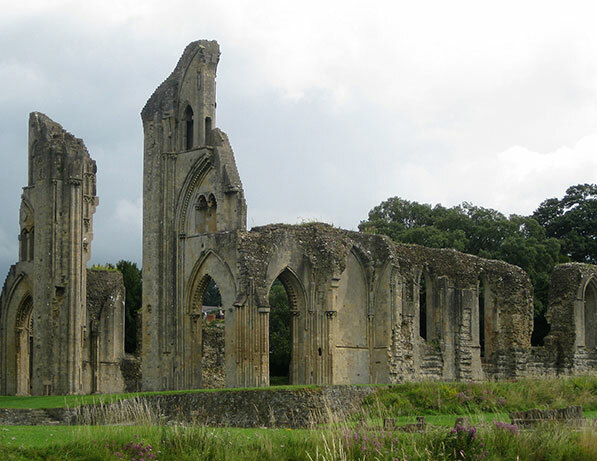 The Glastonbury Abbey is set in 37 acres of peaceful parkland and it is located in the heart of Glastonbury’s town centre. It was the first Christian sanctuary in Britain. Many believe that the Holy Thorn Tree can be seen in the grounds and some believe that King Arthur was buried in the Abbey beside his wife Queen Guinevere. So you can see that the Abbey is not short of history! The have a visitors centre and an award winning Museum to take a walk through. This is the towns largest event of the year with a procession of floats lasting all evening. 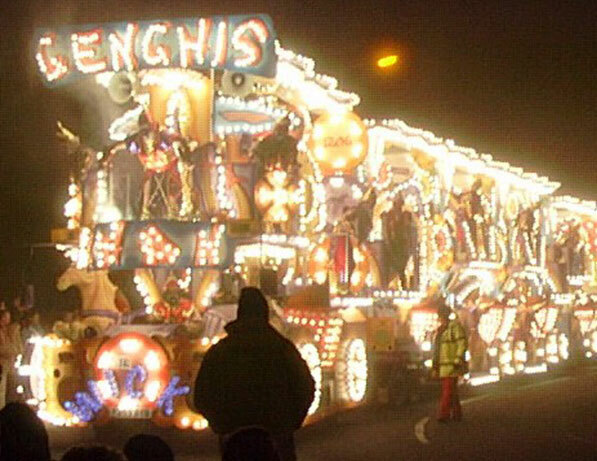 An impressive spectacle with collections for charity on most floats. The town gets very busy and the atmosphere is brilliant. The carnival runs in November each year and it travels across the southwest and usually arrives in Glastonbury on the 3rd weekend of November. The carnival will visit Wells on the Friday evening and Glastonbury on the Saturday evening. 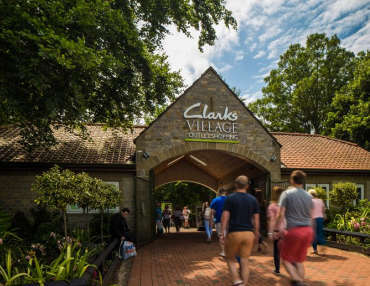 If you are in Glastonbury then there is an opportunity to head over to Street to visit Clarks Village. It is on the outskirts of Glastonbury and you can likely to find bargains from shops such as Marks and Spencer, Darlington, Calvin Klein, Lindt, North Face, Gap, White Stuff, Radley and of course Clarks Shoes. There are also plenty of food restaurants so you can re-fuel between shops!